A pair of superlative transits! 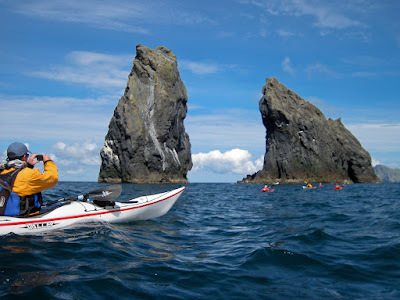 ...and we were left in the silence of the open Atlantic. To the south, the cliffs of Conachair rose above us for 430m, to the summit of the island of Hirta. ...to be replaced by the open expanse of the Atlantic. 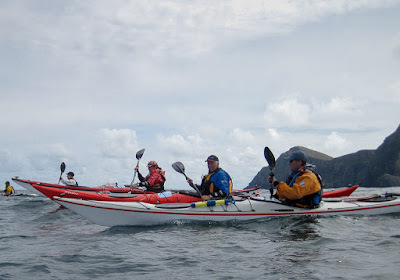 After slack water in Soay Sound, the tide had now changed and was running right to left. We had THE most amazing pair of transits for the crossing...the top of Stac Lee and the summit of Boreray! 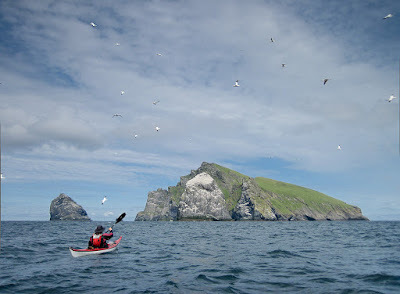 As we approached the Stacs and Boreray, the air filled with wheeling gannets. 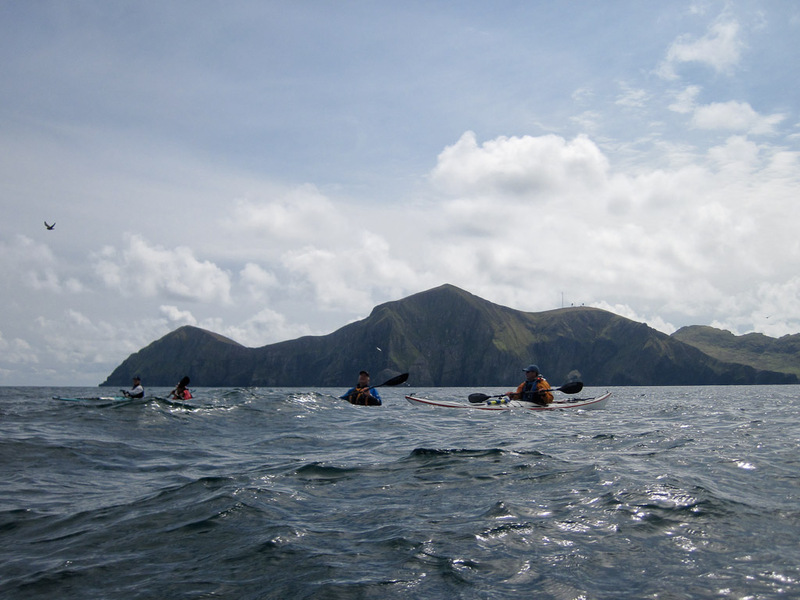 All our senses were being assailed by the wonder of this archipelago of superlatives. A quick check with Murdani on the Cuma resulted in a change of plan. 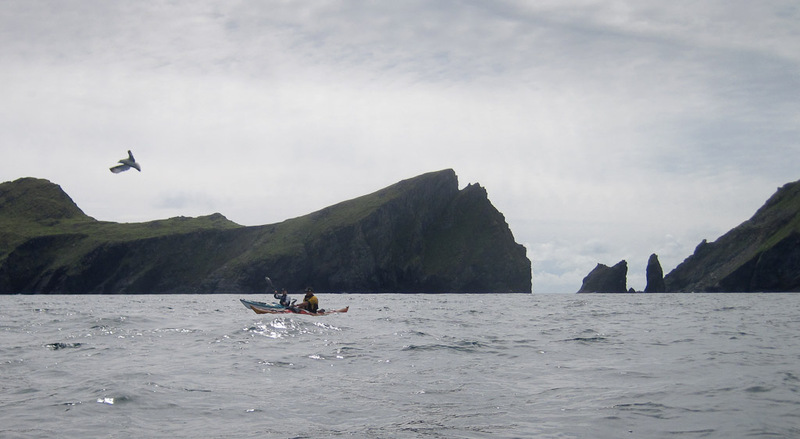 The wind was now picking up quickly from the SW so the plan to circumnavigate Boreray was abandoned. 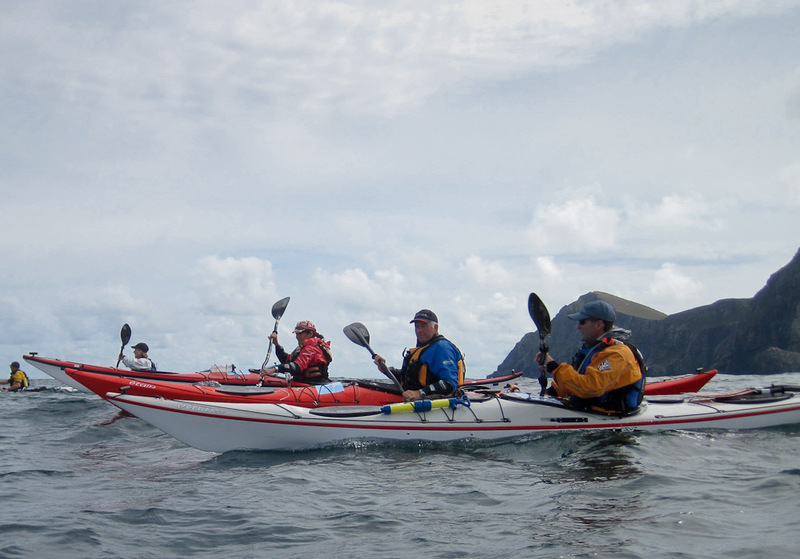 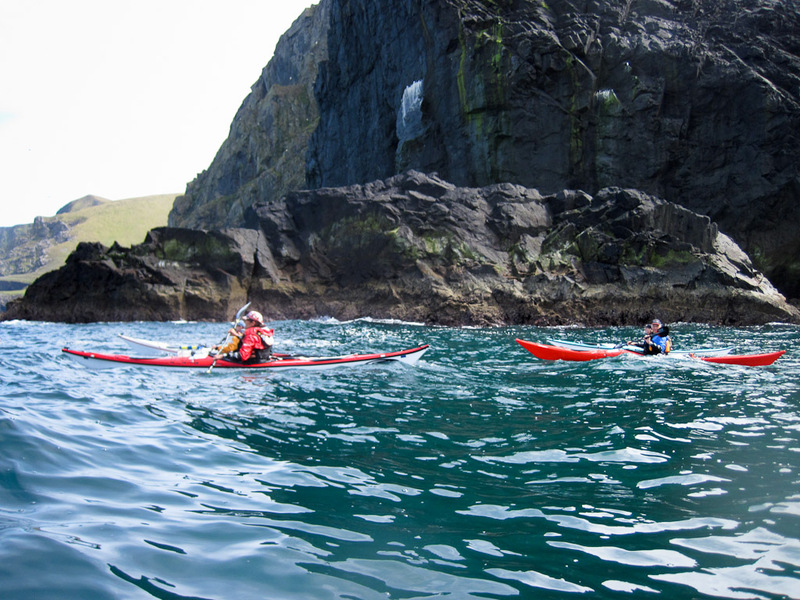 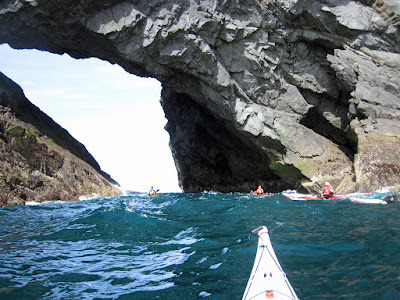 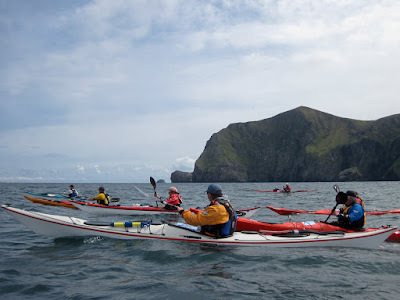 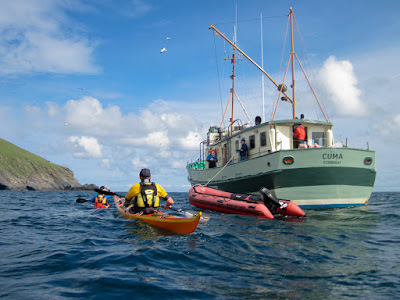 The Cuma would now pick us up off the east coast of Boreray after we explored the north coast of the island..
Sea kayaking through the "Gates of Hell", St Kilda! 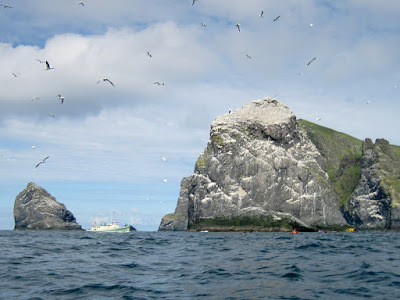 After lunch on MV Cuma, we entered Soay Sound at slack water and passed to the east of Stac Dona. ...we were paddling right through Soay Stac from east to west... Yikes! It would be fair to describe the conditions in the arch as somewhat lively! 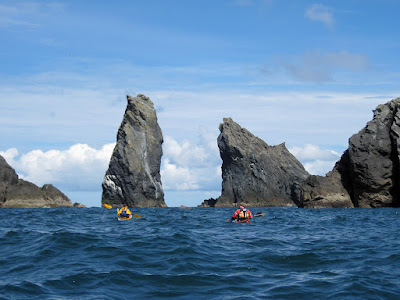 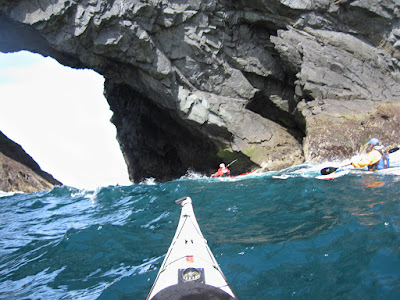 It was with some relief that we all got through safely and were able to look back at these great stacs, which are known in Scottish sea kayaking circles as the Gates of Hell! 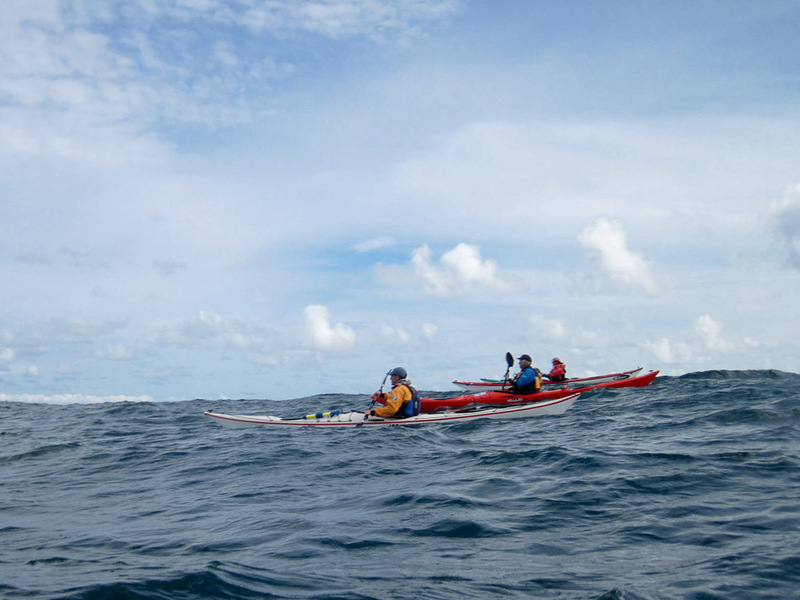 ...Hirta and Soay to paddle across the open Atlantic, some 168km west of the Scottish mainland. 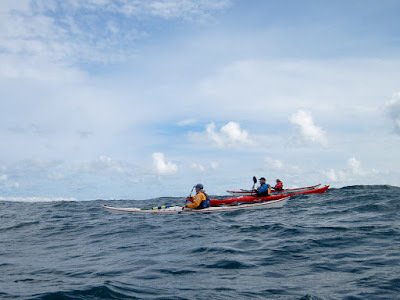 We were now truly kayaking at the edge of the World! 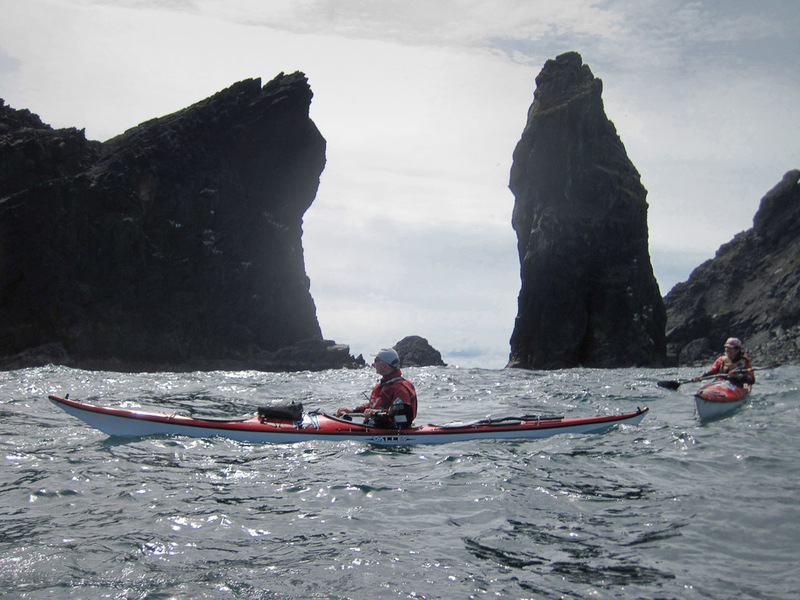 St Johns in Newfoundland was a mere 3128km away to the WSW.